Gretchen needs your help! She has had one surgery and needs more. 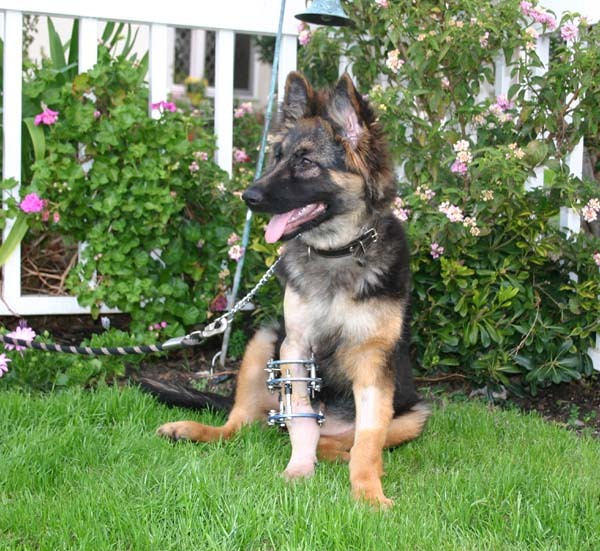 She has a complicated orthopedic device to straighten her leg and at the same time extend her leg. 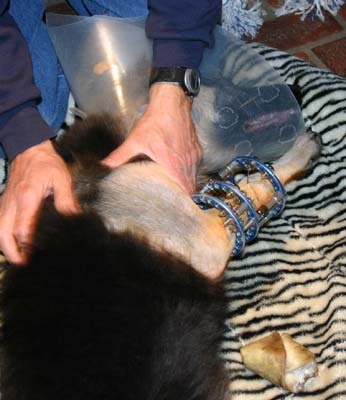 She has pins that go straight through her leg to help align the bone and the damaged growth plate. 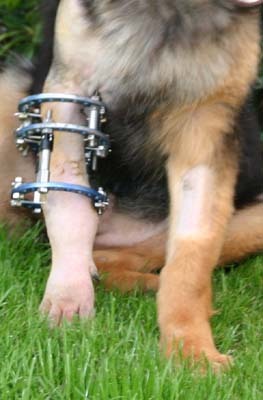 In several weeks Gretchen will have surgery to remove the pins. 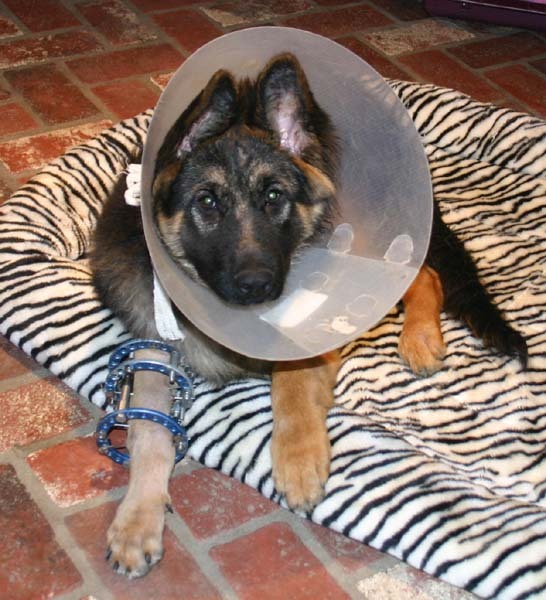 We didn't want Gretchen to continue without the surgery because she was doing permanent damage to her knee. We went ahead with the surgery, but now we have to start making payments on the $1650. 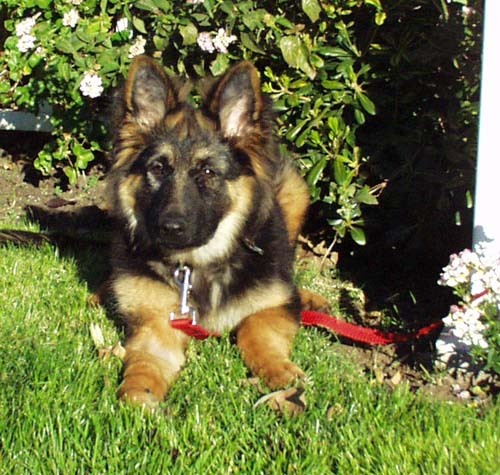 Please help us do whatever needs to be done so Gretchen can run and play like other puppies. Everything helps. 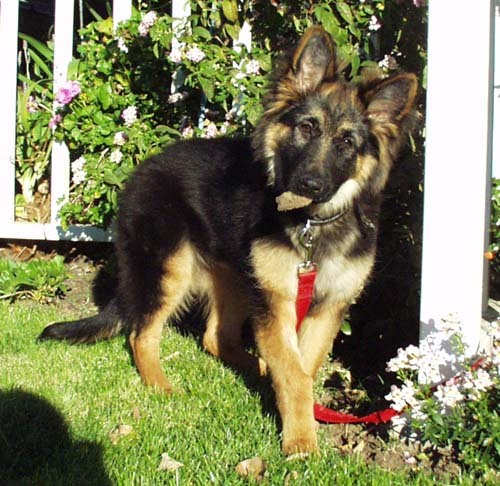 Gretchen is an enchanting 4-month-old long-haired German Shepherd. She has big bones and has been growing at the most amazing pace. We think our beautiful girl is going to be big. 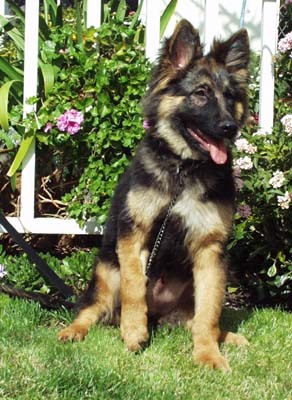 She has the body conformation of dogs imported from Germany; the straighter back and stocky build. Gretchen is smart and learns quickly. She is mostly housebroken and is learning some commands. Gretchen has an injury to her leg. Her growth plate was compressed by either someone running over her or kicking her. She is going to have one surgery now and will have to have one other to repair her leg. When Gretchen ended up in the shelter, she had a beautiful leather collar on and had recently been bathed. We don't know how she was lost or why no one came looking for their expensive puppy. She is spayed and micro-chipped. We are hoping that someone wonderful will adopt Gretchen and will help with the cost of her surgeries.